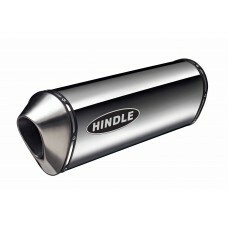 Hindle Exhaust Systems' newest muffler shape in Stainless Steel comes in a beautiful brushed satin finish. Add a black ceramic end cap (+ $25.00) or a carbon fiber end cap (+ $50.00) to complete your muffler customization. 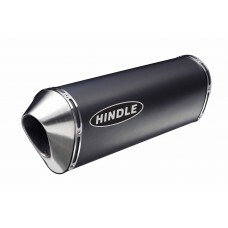 Hindle Exhaust Systems' newest muffler shape in Black Ceramic offers a unique look with a beautiful semi-gloss black finish. Add a black ceramic end cap (+ $25.00) to match or complete your muffler customization with a carbon fiber end cap (+ $50.00). 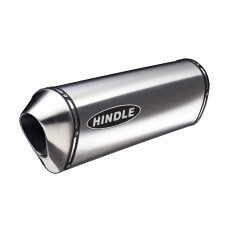 Hindle Exhaust Systems' newest muffler shape in Titanium comes is lightweight and has a satin polished finish. Add a black ceramic end cap (+ $25.00) or a carbon fiber end cap (+ $50.00) to complete your muffler customization. 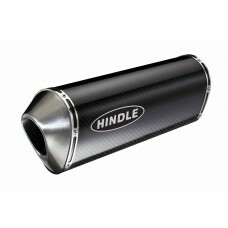 Hindle Exhaust Systems' newest muffler shape in Carbon Fiber is super lightweight and made with real carbon fiber material from the USA. Add a black ceramic end cap (+ $25.00) or add a matching a carbon fiber end cap (+ $50.00).